FREE SHIPPING 24hrs, Next Day Delivery is Available. 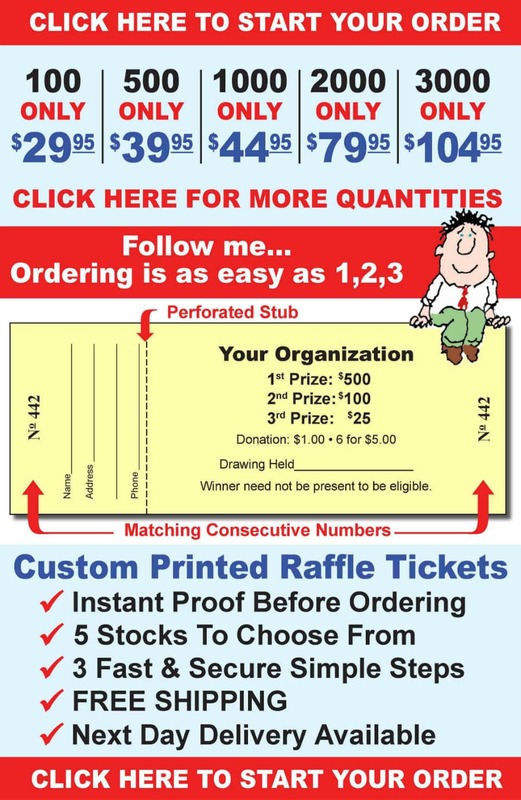 With our online ordering system, you can get custom raffle tickets for your specific event. Others are cheap or offer templates. However, we provide the best price, the best quality, and a fast turnaround. Guaranteed. High-Quality custom printed tickets from experienced printers. Raffle & Admission tickets include free shipping within the continental U.S.. Take advantage of our fast, affordable tickets printed with your custom text. Create online proof before ordering – does not include uploaded logo. Our Ticket Order Page is extremely user friendly, allowing you to customize your tickets and view exactly what they will look like. Our standard ticket format has 9 lines, but you can add more lines – no extra charge. You can even have lines on the back of your tickets. If you have any special ticket printing needs, please Contact Us. In addition to our standard yellow, we offer a variety of different colors at no extra charge, including white, blue, and green. Additionally, we can produce tickets in virtually any size or color combinations. Our standard raffle tickets are by far the best value with the quickest delivery, special orders are no problem and usually only take 1-2 additional days to produce. The standard ticket has our very small logo printed on the back, directly opposite the ticket numbers, in counterfeit deterrent ink. A-Z Printing, located in Cincinnati, Ohio, has been in business for over 30 years. We are experts in producing custom printing, quickly, at great prices. For assistance with your order contact us. 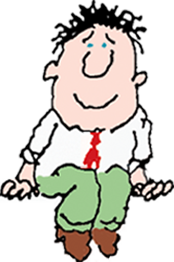 For help with a custom or special orders, please call 888-472-3849 (8:30 a.m. to 5:30 p.m. EST, Mon. – Fri.) .